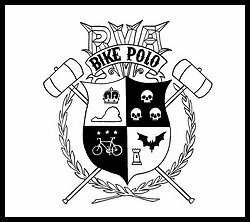 Go to rvabikepolo.blogspot.com and bookmark it or add it to your RSS. Here is a bit of what you’ll find. And while I’m at it, here is an event RVA has planned. This entry was posted by Doug D on November 20, 2009 at 12:01 am, and is filled under Art, Bike Polo, Events-Past, Suggested Topics, Virginia. Follow any responses to this post through RSS 2.0. Both comments and pings are currently closed.